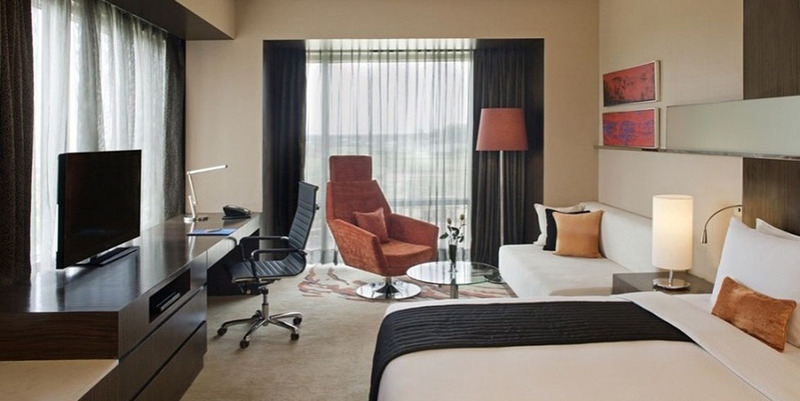 Offering a sleek and modern setting that borders lush, green fields, the Radisson Blu Hotel Amritsar is situated directly across from Sri Guru Ram Das Jee International Airport. Whether you're coming into the city for business or to sightsee, you'll love being able to step out of the Amritsar airport and into the hotel in a few minutes. Attractions like the Jallianwala Bagh and the beautiful Golden Temple, a landmark for the Sikh religion, are just 15 minutes away, and the shops and restaurants of the city centre are only 10 kilometres from the hotel. 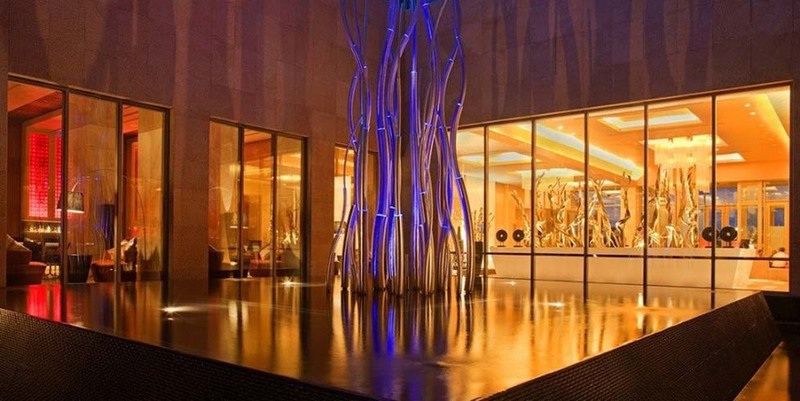 The hotel is a gorgeous property with modern design and upscale interiors. It offers a relaxing ambience and is surrounded by lush green fields. This inimitable accommodation is pretty spacious and designed with style and modern conveniences. The rooms are adorned with modern and contemporary amenities. This property features a trendy lounge bar, on site dining, outdoor pool, classy fitness centre and upcoming full service spa. 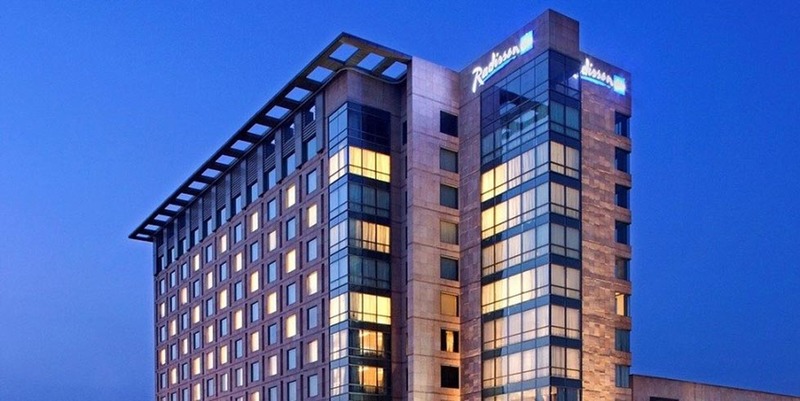 Radisson Blu Hotel offers luxurious facilities to its guests to make their stay more comfortable and memorable. 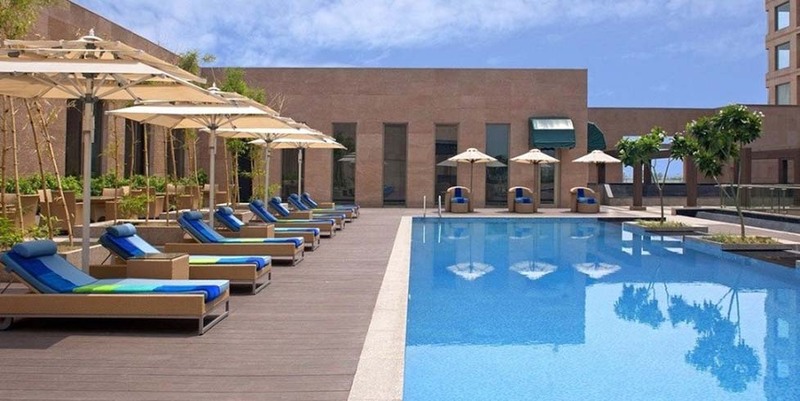 An incomparable range of services offered by the hotel include dining options, upcoming spa, swimming pool, health club and conference and banquet facilities. 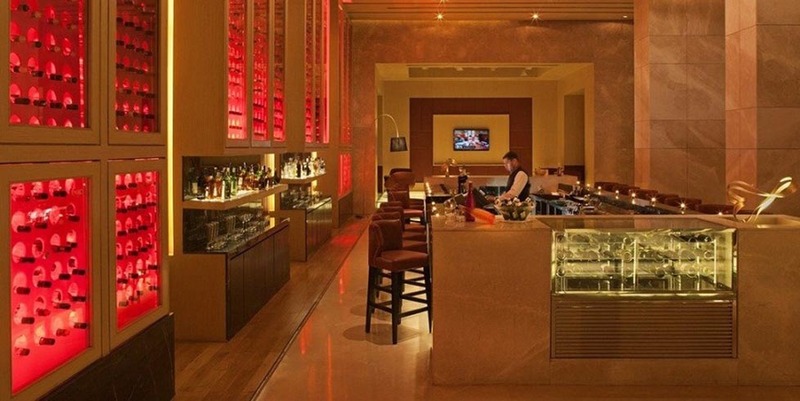 The dining options include Tavolo Mondo, an all day dining restaurant serving a la carte and buffet meals. It offers an extensive open patio for outdoor seating. To savour Oriental cuisines, there is a fine dining restaurant named Wall of Asia. 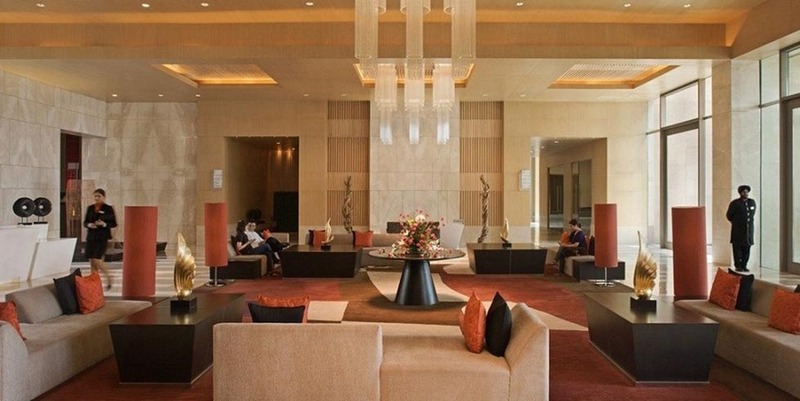 Proof is based at lobby level and is an ideal place to relax and enjoy a wide variety of finger snacks and beverages. 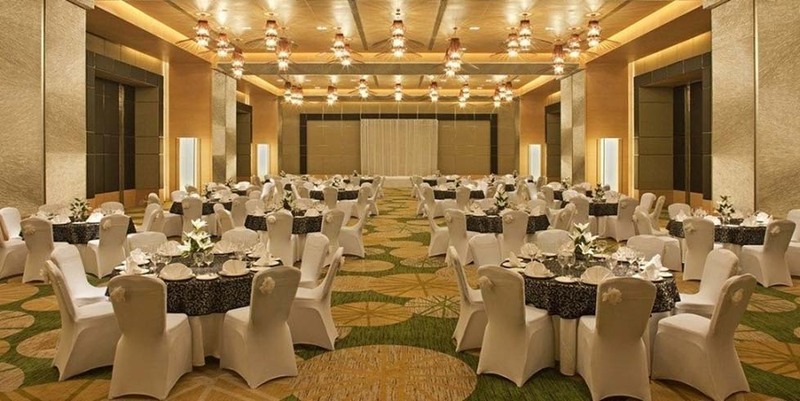 The hotel offers efficient conference and banquet facilities. It offers two lush gardens, two party rooms and two meetings rooms. There is a health club for fitness freaks. At the swimming pool, guests can relax and get a swim after a tiring day. 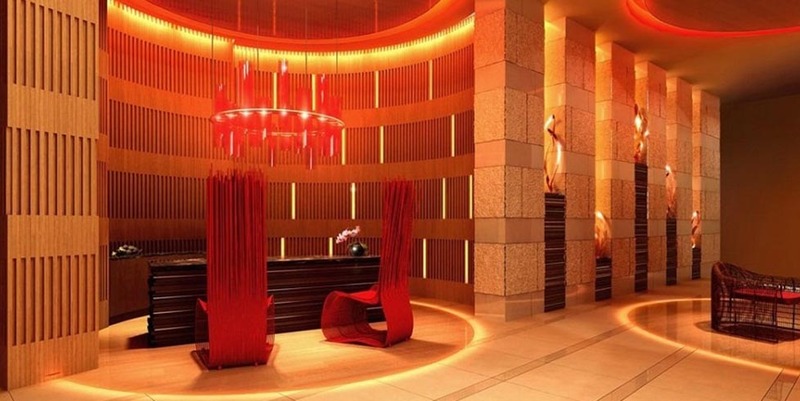 For rejuvenation, one can have various body treatments and therapies at the upcoming spa. A business center is appointed with state of the art facilities. Guests can avail shuttle services to Golden temple. Other additional services include round the clock in - room dining service, travel desk, foreign currency exchange facility, internet access, airport transfer facility, room service and doctor on call.